CHECK OUT OUR NEW EASYSCAN WEBSITE, dedicated to our Scanner solutions and Digital Pathology! Created with user-friendliness and convenience in mind, the Panthera Series utilizes leading edge technology to deliver precise and detailed images, while also making the user experience easier and more efficient. Several top-tier features make the microscopes of the Panthera series stand out, including a new rackless stage, and a light intensity indicator on the nosepiece. In addition, the Panthera Series has been equipped with several 'smart' features. Select models of the Panthera Series include the Motic LightTracer, which enables the microscope to remember user-customized lighting presets for each objective. Another never-before-seen smart feature, available on Panthera L and HD models, is Motic's ImageOnDevice technology. 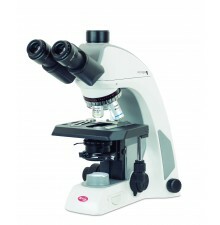 This allows the user to seamlessly connect the microscope to an HDMI screen or tablet and interact with the image in real time. 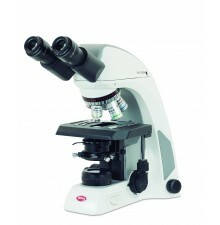 These are just some of the reasons why the microscopes of the Panthera Series are more than just tools. They are smart assistants, fellow workers you can trust. That's why a Panthera Series microscope is the perfect labmate. 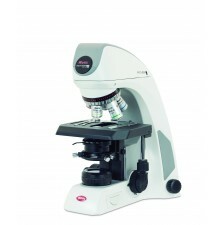 Each model of microscope in the Panthera Series has been designed for a different usage situation, from educational applications to professional laboratory research and analysis. Find the one that is right for you. Note: Please contact us to confirm availability in your market area.